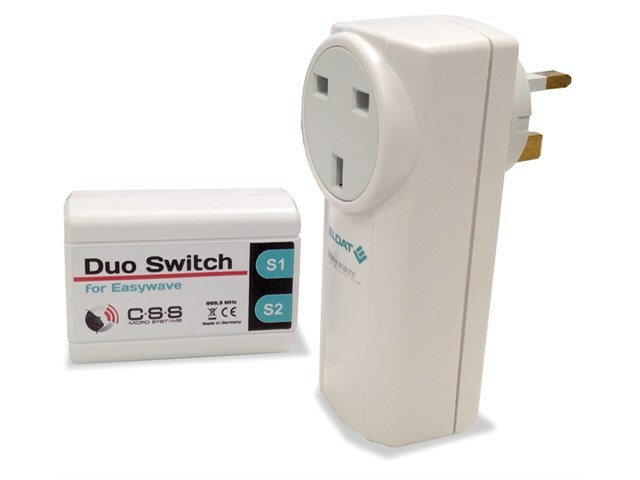 This set gives you wireless control over simple on and off mains operated devices. 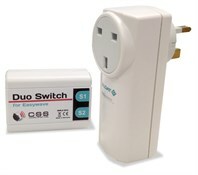 Plug your mains device into the power socket and switch(es) into the wireless box to enable three modes of operation. Toggle Switch – Pressing a switch will switch on the device and a second press will switch off the mains powered device. Push Button Switch – Pressing the switch will switch on the device and releasing the switch will switch off the mains powered device. Dual Toggle Switch – When two switches are plugged in, pressing switch one will switch on and pressing switch two will switch off the mains powered device. Please note: switches are not included, see our Switch Access section.